Is this the first photo of the new IVECO Stralis? 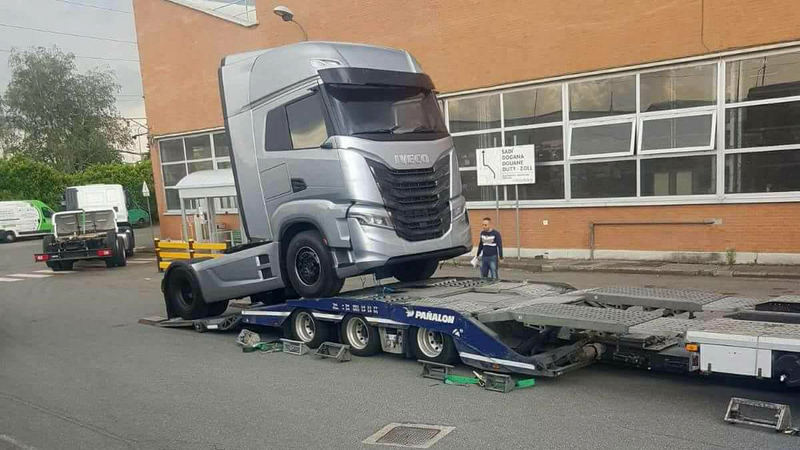 The website iepieleaks posted the first photo of a new IVECO Stralis truck, but we are not 100% sure that this is not a very good Photoshop. Anyway, let's check the details. The grille has similar design to the new Daily. The cabin looks bigger that the current generation of the Stralis model and probably has a flat floor. There are lights on the roof. But the most surprising thing is lack of the rear mirrors. This could mean that they are to be mounted, but this could also be the prototype with rear view cameras instead of the mirrors. The new IVECO will be probably debuted during the IAA show later this year.